If you're looking for a last-minute Cinco de Mayo recipe, try these Black Bean, Corn & Zucchini Enchiladas! Hola, mi amigos! Hope you're enjoying your Cinco de Mayo. Our apartment is hosting a little shindig later. Sangrias are on the agenda, so it's kind of obvious I'll be going! Trader Joe's! If you've been reading my modest little blog for a while now, you've probably caught on to the fact that I am obsessed with Trader Joe's. Evan and I go grocery shopping there every Sunday at 8am - I always look forward to it. 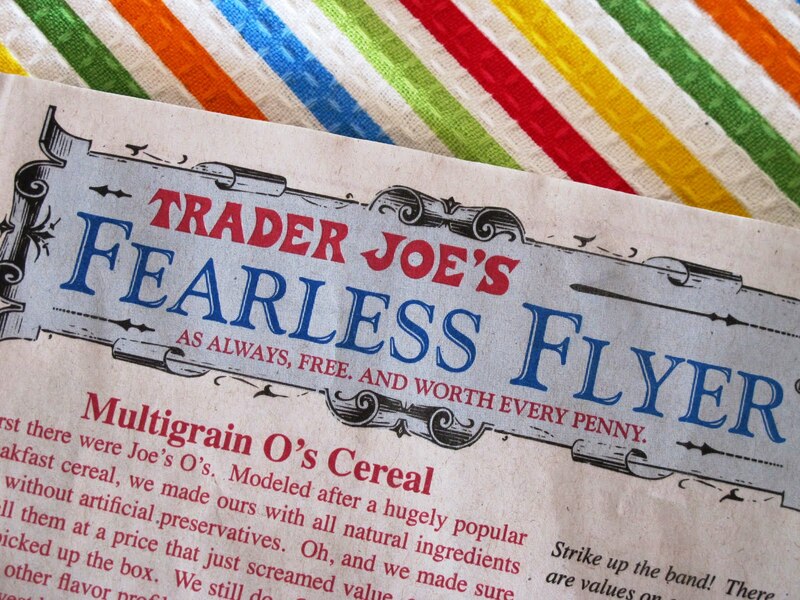 We received TJ's Fearless Flyer in the mail today - it's a newsletter about their latest and greatest items. It prompted me to share some of my favorite TJ's goodies with you. 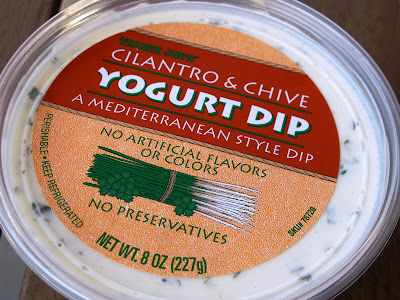 I've been dipping carrots into this Cilantro & Chive Yogurt Dip like it's my job. 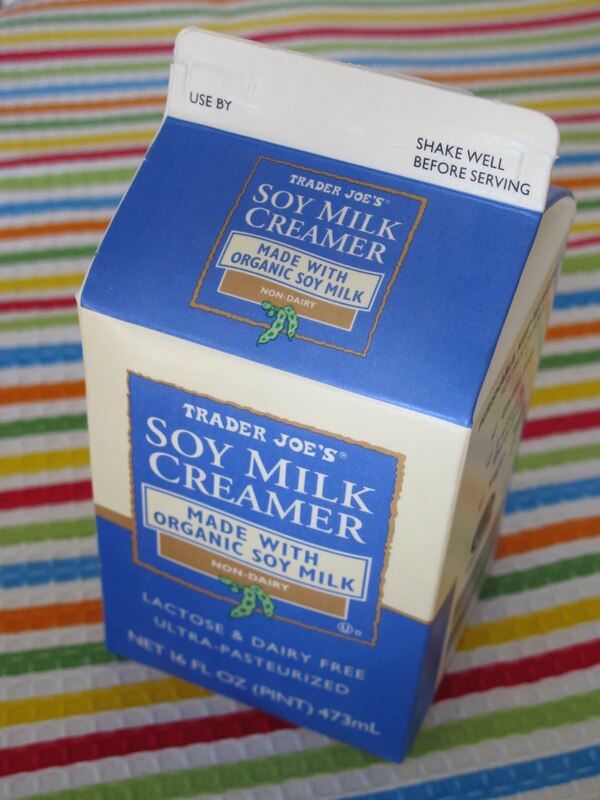 Ingredients: Pasteurized Grade A Milk, Cream, Active Cultures, Cilantro, Chives, Garlic, Salt, Vegetable Oil, Olive Oil. Not too terrible for a packaged dip. 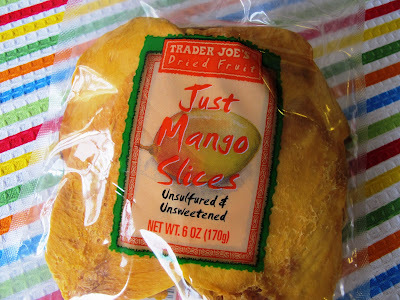 Just Mango Slices - really, just mango. Nothing else. I snack on these during long trail hikes. Evan adds in this Soy Milk Creamer to our coffee every morning. I have no problem with dairy products (see yogurt dip above! ), but I really like the taste of this. Just a hint of sweetness! Mixed Nuts - with the best combination of nuts ever! Almonds, cashews, macadamias and pistachios. I eat them in that order - saving the best for last. I snack on these every single morning at work. So there you have it - some of my favorite items from Trader Joe's. I'm thinking this could become a regular post because I have so many favorites! 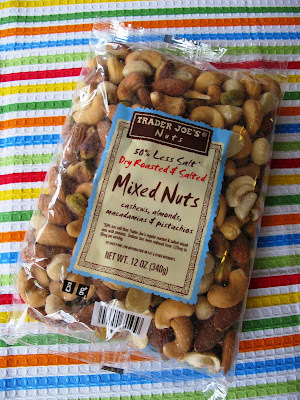 Do you shop at Trader Joe's? Any favorite items to share? P.S. Thank you so much for all your recipe suggestions for zucchini. I'll be compiling those into a post to share with everyone!